Learn Sheffield is commissioned by Sheffield City Council to deliver the statutory duties relating to school improvement. The new approach to school improvement, described in the strategy below, was developed by working with the primary, secondary and special school sectors throughout 2015/16. Learn Sheffield adopted this school-led approach to school improvement from the beginning of the 2016/17 school year. School Profiles - which capture the information each sector will use to inform categorisation and provide a platform for support, challenge and partnership working. Categorisation - each school will be categorised, using a traffic lights approach with common language, clear criteria and clarity about the support and challenge package that accompanies it. This process ensures that resources are used to support the right schools. The identification of each school’s category involves the school itself, Learn Sheffield and a peer group of colleagues from the relevant sector partnership. School Improvement Cycle - an agreed timeline for the year, which includes the way that the sector will play a part in the review of the support and challenge activity that has taken place. Welcome to the Sheffield School Improvement Strategy 2016-2018. It has been developed by Learn Sheffield in partnership with each sector of Sheffield’s education community and represents a truly school-led approach to school improvement. Learn Sheffield came into existence in August 2015 and has been developing the approach described in this document since that time. We are a not-for-profit Schools Company, owned by the schools and colleges of Sheffield alongside Sheffield City Council, and our main focus is school improvement. We are also commissioned by Sheffield City Council to deliver the statutory functions associated with school improvement. "Learn Sheffield’s vision is that we can bring about improvement through partnerships." This strategy sets out the approach that we will take to school improvement but also sets the wider context to Sheffield’s approach. It refers to the Achievement Strategy and the Sheffield Priorities document, both of which can also be found on our website (www.learnsheffield.co.uk) and may be read in conjunction with this document. Learn Sheffield’s vision is that we can bring about improvement through partnerships, and this is central to this strategy and everything that we do. We believe passionately that the purpose of education is to enhance the life chances of children and young people. A great school, therefore, must ensure that it develops the achievement and readiness of its students, so that they are ready for life. Achievement opens doors for young people, giving them access to the next stage of their education, training or employment. Readiness is their ability to walk through those doors and take the maximum advantage of the opportunities that they have. Learn Sheffield’s mission is to support and challenge our members, who are the schools and colleges of the city, to have the courage and confidence to develop the education culture of Sheffield to be worthy of a world class city. Our Vision is that ‘Every child, young person and Family in Sheffield achieves their full potential, by raising expectations, attainment and enabling enriching experiences whoever they are or wherever they live. Giving every child a great start in life and ensuring all schools are great and inclusive and working in partnership will help us achieve this. "It’s great to see the improvement of the outcomes for our children and young people and we are excited by the future." I’m proud, that in Sheffield, despite the turbulence in the education system over the last four years the Council has worked closely in partnership with schools and colleges across the city. This led to the creation of Learn Sheffield in August 2015. It’s great to see the improvement of the outcomes for our children and young people and we are excited by the future. Learn Sheffield provides the city with innovative and powerful opportunity to build on our successes and work towards our vision and objectives. It gives us the ability to work with all schools in partnership for the betterment of all learners. Without a strong education system, Sheffield cannot overcome the challenges it faces or capitalise on the cities greatest resource: its people. I’d like to thank all staff who are working hard to change the lives of the children and young people in our city. Their dedication and commitment is very much appreciated. I am delighted to contribute to the Sheffield School Improvement Strategy, on behalf of the Learn Sheffield Board. We are extremely focussed on school improvement and determined to support Sheffield schools and colleges in ensuring that every child and young person has access to a great education, wherever they live and whatever their circumstances. "...every child and young person has access to a great education, wherever they live and whatever their circumstances." Learn Sheffield’s purpose is to nurture effective partnerships within an ambitious and effective culture so that, in Sheffield, all of our young people learn with great teachers, in great settings, which are constantly improving. Learn Sheffield aims to strengthen city-wide partnership work, both within sectors, between them and with employers. This strategy brings to life these ambitions and sets out the approach that we will take as a city to bring about improvement. Learn Sheffield was incorporated on the 14th August 2015. It is a ‘not for profit’ Schools Company, limited by guarantee, which is owned by the schools and colleges of Sheffield (80%) and Sheffield City Council (20%). The decision to form a Schools Company was recommended by a working group, who developed the plans throughout the 2014-15 school year, and taken by Sheffield City Council’s Cabinet in July 2015. The working group was a collaboration involving all stakeholders within education in Sheffield, including representatives of Sheffield City Council and the primary, secondary, special and further education sectors. The purpose of Learn Sheffield is to promote school improvement and it takes a wide view of this, through the development of this strategy alongside the Sheffield Priorities document. In addition to this it offers a growing range of services to schools and seeks to play a full role in the life of the city and its education community. Any surplus that Learn Sheffield generates is reinvested in Sheffield’s education system and, in particular, in school improvement activities. At the time of writing this strategy all Sheffield schools and colleges have become members of Learn Sheffield, or expressed an intention to do so. Learn Sheffield’s membership includes schools of every type and sector. "Sheffield LA fulfils the role of commissioner." Sheffield Local Authority has commissioned Learn Sheffield to carry out its statutory duties in relation to school improvement. The commissioning framework has been developed with reference to the DfE’s Schools Causing Concern Statutory Guidance for Local Authorities, the Ofsted Framework for the Inspection of Local Authorities and Sheffield City Council’s corporate plan. The proposals were co-constructed with schools through the working groups that led to the decision to establish a Schools Company. In this model Sheffield LA fulfils the role of commissioner. The detail of how these duties are discharged can be found in Section Five of this strategy, which outlines the strategic framework. "Learn Sheffield is responsible for the delivery of statutory duties in relation to school improvement." Learn Sheffield is responsible for the delivery of statutory duties in relation to school improvement. This strategy has been developed by Learn Sheffield, working in partnership with each school sector (primary, secondary and special) and other stakeholders in Sheffield’s education community. The accountabilities of Learn Sheffield to Sheffield City Council are outlined in section five of this strategy, which describes the strategic framework. The belief that a school-led system can provide the platform for Sheffield children to receive the best possible education is at the heart of our vision for school improvement. We seek to build a system culture where our school-led system is embedded, outward facing and actively involved in educational research, discussion and policy. Sheffield’s education community is honest, constructive, positive and always looking to promote and celebrate Sheffield. Sheffield is outward looking and influences policy-making at every level of the education system. Sheffield’s education culture enables all learning institutions to be self-improving, inclusive and sustainable. Enquiry-based curiosity drives the strategic direction of schools and the city. "Learn Sheffield believes that sustained improvement will be brought about through effective and deep partnerships." This vision recognises that all schools need to improve continuously and all schools have something to contribute to the improvement of others. It is the responsibility of all school leaders and communities to secure improvement in their school, but it is also their responsibility to support improvement in all Sheffield schools and for all Sheffield children and young people. Learn Sheffield believes that sustained improvement will be brought about through effective and deep partnerships. Amongst these partnerships, which will take many different forms, will be the partnership that all Sheffield schools have with each other and Learn Sheffield. To have an accurate and current evaluation of all schools and colleges, underpinned by robust self-evaluation. High quality school leadership impacts on the outcomes of all schools and colleges in the city. High quality teaching impacts on the outcomes of all pupils. Schools have a shared commitment to the vision for Sheffield school improvement and collective refusal to accept under-performance. Learn Sheffield will support and challenge schools and colleges to self-evaluate accurately, share data and key information and work in partnership. We will celebrate our successes together whilst always retaining a collective ambition and expectation that Sheffield will achieve the very highest standards. Learn Sheffield launched the Sheffield Priorities Project in December 2015, working with the National Education Trust, to identify the wider barriers to school improvement within the city. This work involved a wide range of stakeholders in Sheffield’s education system. It included a city wide consultation exercise and was launched in September 2016. The Sheffield Priority themes are summarised below, taken from a page of the final document. The priorities identified within the workforce theme focus on the recruitment, development and retention of high quality people. We are seeking to ensure that there is a healthy pipeline of teachers and leaders, that Sheffield schools have access to the right expertise to support learning and governance with the appropriate skills and knowledge. Professional development and staff wellbeing are key components of our strategy in this theme. The identification and overcoming of barriers to learning for vulnerable learners is at the heart of this theme. Our objective is to maximise the attainment and readiness of all vulnerable learners through supporting schools to develop strong inclusive practice, which is an entitlement of children and young people. This theme also contains a specific focus on the identification of young carers and the development of provision to support them. "The achievement and readiness of our young people will enable them to be active citizens of a world class city." This theme is focussed on children and young people being ready for learning, relationships, the next stage in education, the workplace and adult life. The priorities identified seek to support readiness and include a focus on mental health, physical fitness, attendance and punctuality, early year’s development, transitions, pathways into employment and citizenship. The priorities identified in the entitlement theme are designed to ensure rich learning experiences across the curriculum as an entitlement of all Sheffield children and young people. The objectives relate to the importance of relevant learning experiences which support the attainment and readiness of pupils. There are also objectives relating to cultural education and capitalising on Sheffield as a resource and stimulus for learning. The theme also includes a focus on pupil voice and supporting parents, families and communities to enhance learning. Learn Sheffield believes that each of these wider school improvement themes is crucial to the achievement of better outcomes for schools and their students. A brief summary of the changing context of Sheffield and its previous performance is outlined in this section. Sheffield has an unusual demographic profile and a changing context, which has had significant impact on the level of challenge faced by its schools. A number of significant factors, including population growth, new arrivals and a polarised pattern of deprivation have a significant impact. Just under a quarter of Sheffield children are considered to be living in relative poverty, with an income below 60% of average household income (24% in 2012). Levels of deprivation, however, are highly polarised across the city. Around 35% of school-age children live in the 20% most deprived neighbourhoods in England and around 22% of children live in neighbourhoods amongst the 20% least deprived in England. The polarised nature of deprivation across the city means that large numbers of children eligible for free school meals are concentrated within a relatively small number of schools. In 2015, 27 primary schools account for 50% of all primary-age free school meal pupils in Sheffield. By contrast the 40% of schools with the lowest numbers of free school meal pupils account for only 10% of these pupils. Sheffield has had a significant increase in its population, up 8% since 2001, and has a current school age population of approximately 73,000 pupils. The majority of this increase has been caused by increasing birth rates since 2001. This has also been compounded by a significant number of ‘newly arrived’ pupils. This has generated pressure on both schools places and school finance, given the lag effect of the minimum funding guaranteed with the funding formula. Whilst we know that newly arrived pupils make strong progress over time from low starting points, the distribution of pupils within and across the city does impact on outcomes. An example of this is that it is estimated that 185 children in the 2015 Key Stage 1 cohort were new arrivals to the city and had joined the English schooling system for the first time during Key Stage 1. If these children were to be discounted from the city’s results (as is the case at Key Stage 2) then this would result in an increase of around two percentage points for each of the threshold measures at Key Stage 1. The impact of this context is that Sheffield has a higher than average percentage of children with low starting points. The prior attainment profile of the 2015 Key Stage 2 cohort is typical, with approximately three per cent more pupils in the lower prior attainment group and two per cent fewer pupils in the higher prior attainment group. "When achievement takes account of prior attainment... Sheffield is significantly improved and... above national average." In order to fully understand Sheffield’s performance we need to consider the impact of the city’s context on the starting points of pupils. The context, in terms of new arrivals (including the factors associated with having English as an additional language) and deprivation, results in Sheffield having a larger proportion of pupils with low prior attainment. Sheffield’s performance, when overall national ranking against key measures is considered, has historically tended to be below the ranking of 105th which would represent the position of Sheffield in relation to other LAs in terms of the Indices of Multiple Deprivation. When achievement takes account of prior attainment, as it does in this table (from 2014), the ranking of Sheffield is significantly improved and, in the majority of cases, above national average. This demonstrates the good progress that Sheffield children make. Despite the contextual challenge that it has faced, Sheffield has a positive performance trajectory. The city has improved in most measures at a faster rate than is the case nationally over the last five years, leading to improved outcomes relative to national. This trajectory has continued in 2016, with the un-validated data suggesting that the city has equalled national performance in the key measure in Foundation Stage, reduced the gap in Key Stage 2 to just one per cent and achieved a positive Progress 8 measure in Key Stage 4. 69% of Sheffield children achieved a Good Level of Development in 2016, which was equivalent to the national average. Between 2013 and 2016 Sheffield has seen a 17 percentage point increase in this measure, which matches the national improvement. The provisional 2016 data shows that the inequality gap has closed by four percentage points, which has been a focus for the city. This builds on improvement from the position of 141st in 2013 to 114th in the national rankings in 2015. In 2015 there were increases in attainment for all measures and subjects; the gap between Sheffield and national has also narrowed on all measures with Sheffield now at national average for level 3+ in reading and above the national average for level 3+ in maths. Sheffield’s performance at Key Stage 1 (level 2b+ at that time) has been better historically than the core cities average and has overtaken statistical neighbours in 2015. In 2016 Sheffield saw an improvement in its relative performance compared to national in writing (by two percentage points to now equal the national average) but a wider gap (by one percentage point) in reading and maths. The percentage of Sheffield children achieving the required standard in phonics decoding in Year 1 has increased by 12 percentage points between 2013 and 2016. This improvement has been matched nationally and Sheffield remains 4 percentage points below the national average. Naturally, this remains a focus for the city. Sheffield’s performance at Key Stage 2 is also on an improving trend. By 2015 it was at or above that of statistical neighbours and equal to the national average for progress in both maths and writing. Performance remained below the national average on the combined threshold measure in 2015 and in relation to progress in reading, although in both these areas performance had improved and gaps had closed. In 2016 Sheffield saw an improvement in its relative performance compared to national in the combined measure by one percentage point to be only one percentage point below the national average. The further improvement in the provisional Key Stage 2 2016 outcomes is reflected in significantly better national LA rankings. As this table shows, Sheffield ranks higher in the combined measure than the ranking of 105th, which would represent the position of Sheffield in relation to other LAs in terms of the Indices of Multiple Deprivation, for the first time. The number of primary schools below floor standards has also reduced significantly in recent years, despite the floor standards becoming more challenging. In 2013 13 schools were below the floor standard. This reduced to ten in 2015 (nationally reported as seven when adjusted to include recent academy conversions) and is expected to be six in 2016. Across the headline measures, Key Stage 4 performance has been on an upwards trend since 2011. The changes in the accountability framework and examination reforms resulted in a national decline in performance in 2014 but despite this, Sheffield has performed relatively well in 2014 and 2015 closing the gap with national and statistical neighbours on the key measure of five or more A*-C including English and maths and three or more levels progress in maths. Progress in English had worsened slightly but this mirrored the national trend and Sheffield’s performance was still better than core cities and equivalent to statistical neighbours. Provisional 2016 data indicated an improvement of 2 percentage points in the proportion of young people achieving five or more A*- C grade GCSEs including English and maths. Whilst this no longer the headline measure it does confirm the continuation of the upward trend. The new headline measure, Progress 8, appears likely to be positive (i.e. above average national progress) in the provisional data. Three secondary schools (all academies) were below the Government’s floor standard in 2014, reducing by half since 2011. Only one school was below the floor standards in 2015. A-level performance for the City across all measures is not significantly different from the national average for state funded school and colleges. Despite the introduction of new sixth form provision to the City, the Sheffield average grade per entry at remained a C – in 2015, equal to the state funded school and college national average. This performance saw Sheffield ranked 5th of 11 statistical neighbours in terms of average points per A-level entry, and equal to the 2015 statistical neighbour average. Provisional data for 2016 suggests a stable overall picture, with validated data not available until the spring of 2017. Sheffield’s strategic school improvement framework continues to sit within a wider national framework for improvement. The statutory responsibilities of a Local Authority, for educational excellence, are set out in the 1996 Education Act. This role has been further developed through subsequent legislation and Schools Causing Concern statutory guidance. A more detailed breakdown of this framework can be found in Appendix 1, the ‘Sheffield Monitoring, Challenge, Intervention and Support Policy and Procedures’ document, which was revised in the autumn term of 2016 and will be available on the Learn Sheffield website (see Section Eight). The outcome of these developments is that Local Authorities have increasingly become strategic commissioners and champions for parents and children, rather than the organisations which deliver school improvement services directly. This reflects a changed policy context in which schools are more diverse and have greater autonomy. However, a Local Authority retains the statutory duty “to promote high standards so that children and young people achieve well and fulfil their potential” (1996 Education Act) and is required to ensure secure arrangements for school improvement. One of the reasons for the development of Learn Sheffield was its potential to provide these secure arrangements for school improvement within a much changed educational landscape. Sheffield City Council has commissioned Learn Sheffield to deliver the remaining school improvement statutory duties. This commission began in September 2015 and currently extends to August 2018. In addition to the objectives outlined in section three Sheffield also has expected outcomes which are taken from the school improvement commission. Progress towards the 13 objectives below is reviewed regularly by Learn Sheffield and Sheffield City Council. Understand the performance of all schools in Sheffield, using data and information to identify those maintained schools that require improvement and intervention. Seek to work constructively with academies and other providers. Secure strong leadership and governance for maintained schools that are not providing a good enough education. This will include working with the LA to identify and support potential successful sponsors. Take swift and effective action when failure occurs in a maintained school, by liaising with the LA to use Warning Notices and Interim Executive Boards (IEB)s whenever necessary to get leadership and standards back up to at least ‘good’. Intervene early where the performance of a maintained school is declining, ensuring that schools secure the support needed to improve to at least ‘good’. Encourage good and outstanding maintained schools to take responsibility for their own improvement and to support other schools. Build strong working relationships with education leaders in the area (including Governors and Board members) and encourage high calibre school leaders to support and challenge others. Through dissemination of best practice and signposting help schools to purchase from a diverse market of excellent providers and signpost where schools can access appropriate support. Provide information and advice to the LA where there is a need for ‘formal intervention’. Share information and data with the LA relating to safeguarding and follow the guidance on the roles and responsibilities for safeguarding as set out in: ‘Keeping Children Safe in Education’ and ‘Working Together to Safeguard Children’. Liaise with the LA to maintain information and data about the quality of governance in schools and develop appropriate monitoring arrangements to identify early signs of failure in relation to finance, safety or performance standards. Work in partnership with the LA to secure a positive outcome in the event of an Ofsted inspection of the LA’s school improvement functions. Share sufficient information about financial and resource issues to enable the LA to be secure that the company is sustainable. Stronger partnership working across and between sectors and stakeholders (including Sheffield City Council) impacts positively on outcomes for children and schools. The profile of Sheffield schools and other settings is improving so that the city’s performance reaches and exceeds that of statistical neighbours and national averages. The outcomes for Sheffield children, at the end of each stage of learning, reach and exceed those of statistical neighbours and national averages. The gaps in outcomes between identified groups of vulnerable Sheffield children and the Sheffield average pupil performance are narrowed at the end of each key stage. Monitoring, challenging and supporting schools to ensure the highest possible standards of education for Sheffield children and young people. Intervening where required and recommending the use of formal interventions to the LA when this is appropriate. Appendix 1, the ‘Sheffield Monitoring, Challenge, Intervention and Support Policy and Procedures’ document, sets out more detail about how these procedures are applied in the context of the relationship between the Local Authority and Learn Sheffield. Sheffield City Council will also, over time, identify additional duties and projects which Learn Sheffield can deliver on its behalf, in addition to services that could transfer. From September 2016, for example, Learn Sheffield has been commissioned to deliver Governor training. A schedule of accountability review meetings has been determined in relation to the statutory duties commission. These meetings review standards in the four school improvement outcome areas and progress in relation to the thirteen expected outcomes identified in the commission. They provide an opportunity for Sheffield City Council Officers and Councillors to monitor performance. This School Improvement Strategy has been developed over the course of a year. It is designed to deliver the outcomes set out in the commission from Sheffield City Council. These are described in Section 7 and include school and pupil outcomes, with a particular focus on the outcomes for vulnerable learners. "Each sector has co-designed the approach... each sector is bespoke but they all follow a similar structure and contain the same key features." School Profiles – which capture the information the sector will use to inform the categorisation and act as the platform for support, challenge and partnership working. Categorisation – each school will be categorised, using a traffic lights approach with common language, clear criteria and clarity about the support and challenge package that accompanies it. This process ensures that resources are used to support the right schools. The identification of each school’s category involve the school itself, Learn Sheffield and a peer group of colleagues from the relevant sector partnership. School Improvement Cycle – an agreed timeline for the year, which includes the way that the sector will play a part in the review of the support and challenge activity that has taken place. "The needs and vulnerabilities of schools are considered to ensure that resources are effectively targeted. This approach is based on the principle that each school has an entitlement to be supported to improve." The specific detail for each sector can be found in Appendix 2 (primary), Appendix 3 (secondary) and Appendix 4 (special). These appendices contain the School Improvement Information Pack for each sector, which outlines the process and includes template examples of the key documents. Learn Sheffield’s new approach to city-wide school improvement and categorisation supports and challenges all schools to improve. The needs and vulnerabilities of schools are considered to ensure that resources are effectively targeted. This approach is based on the principle that each school has an entitlement to be supported to improve. This is explained more fully in Appendix 5 (School Leaders and Governance Guide to Categorisation and School Improvement). This approach is designed to include all schools regardless of their governance arrangement. It recognises that city-wide school improvement activity must be consensual, given greater autonomy that is now granted to schools, but understands that working in partnership is also the most effective form of improvement. Finally, the approach ensures that duties and responsibilities are discharged effectively and in a timely way. In each sector the support and challenge offer is outlined in the categorisation grid. This example is taken from the primary sector grid and demonstrates how the school’s entitlement grows in proportion to the category. All schools receive an offer, with ‘green’ schools having an annual visit and entitlement to support through the locality school improvement action plan. As greater need is identified the school is entitled to more support and challenge activities. "This approach is designed to include all schools... recognises that activity must be consensual... understands that working in partnership is the most effective form of improvement." The support and challenge offer is determined by a categorisation process in which all schools participate and is made to all schools, regardless of their governance arrangements. The accountability for academies, for example, does not sit with the Local Authority and they are not compelled to engage with the city wide approach to school improvement. Whilst these differences are understood, Learn Sheffield does not differentiate between different types of schools. Where a school is part of a formal partnership, for example a Multi-Academy Trust, a conversation about how the support and challenge offer will be deployed is likely to take place with the accountable body in the first instance, rather than the individual school. In all cases, the existing arrangements that a school has in place are considered carefully when determining how the support and challenge offer will be deployed. Where school performance is causing concern there remains a statutory responsibility to provide support, challenge and, where necessary, intervention to bring about rapid improvement. Learn Sheffield works closely with the school and all relevant partners when considering thee matters. Further details about the nature of possible interventions can be found in the Schools Causing Concern Statutory Guidance and Appendix 1, which is the Sheffield Monitoring, Challenge, Intervention and Support Policy and Procedures document. Information about both of these documents can be found in section eight. The Education and Adoption Act 2016 has introduced new intervention powers for the Secretary of State, which will be exercised by Regional Schools Commissioners (RSCs), to extend the types of maintained schools that are eligible for intervention to include coasting schools and include formal action in academies that are causing concern. Schools which have been judged inadequate by Ofsted or who have failed to comply with a warning notice are still eligible for formal action. A warning notice can be issued, in relation to performance standards and safety or teachers’ pay and conditions, to a maintained school by either a Local Authority or the RSC (on behalf of the Secretary of State). Warning notices to academies will be issued by the RSC. Learn Sheffield will consider the guidance in respect of warning notices and liaise closely with both the LA and the RSC. If Learn Sheffield feels that a warning notice should be issued, and the school is a maintained school, it will make a recommendation to the LA. If the school is an academy then it will discuss the concerns with the RSC, who has the power to issue a notice if they feel one is appropriate. When considering the statutory guidance relating to warning notices, Learn Sheffield will also consider the engagement of the school with the support and challenge process. In a situation where the level of engagement is limited there will often be a smaller evidence base upon which to make an interpretation of the guidance. In these cases a warning notice is more likely to be recommended to the Local Authority, in the case of a maintained school, or discussed with the Regional Schools Commissioner, in the case of an academy. Other forms of intervention will be considered in a similar way. Learn Sheffield will consider the guidance in relation to requiring a governing body to enter into arrangements, the appointment of additional governors, appointing an Interim Executive Board (IEB) or suspending the delegated budget as required, liaising closely with the LA and the RSC. If Learn Sheffield feels that an intervention power should be used, and the school is a maintained school, it will make a recommendation to the LA. If the school is an academy then it will discuss the concerns with the RSC, who has the power to act if they feel it is appropriate. It is clear in the Schools Causing Concern Statutory Guidance that the RSC may act independently of the LA in relation to maintained schools if it chooses to do so. The commission from Sheffield City Council to Learn Sheffield is outcomes based. The outcome areas, specific objectives, success criteria and indicative key performance indicators (KPI) are agreed and reviewed annually. It is envisaged that the outcome areas, objectives and success criteria will remain, with minimal changes, for the three years of the contract, whilst the KPIs may be more dynamic. Objective – Stronger partnership working across and between sectors and stakeholders (including Sheffield City Council) impacts positively on outcomes for children and schools. Sheffield settings are members and have a relationship with Learn Sheffield in relation to school improvement. Sheffield settings are productively engaged in sector partnership working. Sheffield settings are productively engaged in cross-sector and multi-agency partnership working. System wide school improvement action plans include all Sheffield settings. Increased system leadership capacity facilitates leadership and delivery of a wide range of partnership working in Sheffield. Objective – The profile of Sheffield schools and other settings is improving so that the cities performance reaches and exceeds that of statistical neighbours and national averages. Increased proportion of Sheffield settings and learners taught in settings, in all sectors, judged as good or better by OFSTED, with a rising proportion judged as outstanding. Decreased proportion of Sheffield settings and learners taught in settings, in all sectors, judged as requiring improvement by OFSTED and no Sheffield settings judged inadequate. Sheffield settings OFSTED judgements are consistent with categorisation and no Sheffield setting is placed into an OFSTED category without having been identified as causing concern. Sheffield settings causing concern, and/or placed in OFSTED categories, make accelerated progress to the next level of performance by the next categorisation or full OFSTED Inspection. Sheffield settings, who have made progress to the next level of performance, maintain or improve that category at the categorisations which follow or the next full OFSTED Inspection. Duties in relation to all schools causing concern (including academies and free schools) are properly performed in all cases, according to statutory duties, as determined by the DfE. Any Inspection of the LA’s school improvement functions has a positive outcome. Objective – The outcomes for Sheffield children, at the end of each stage of learning, reach and exceed those of statistical neighbours and national averages. Sheffield children to reach and exceed statistical neighbours and national percentages in attainment measures at the end of EYFS, KS1, KS2 and KS4. Sheffield children to reach and exceed statistical neighbours and national percentages in progress measures, where applicable, at the end of EYFS, KS1, KS2 and KS4. The proportion of Sheffield settings, in all sectors, which are below floor standards (and other nationally defined measures, including coasting) reduces and falls below statistical neighbours and national percentages. Objective – The gaps in outcomes between identified groups of vulnerable Sheffield children and the Sheffield average pupil performance are narrowed at the end of each key stage. Looked After Sheffield children to reach and exceed national expectation in attainment and progress measures at the end of EYFS, KS1, KS2 and KS4. Disadvantaged Sheffield children to reach and exceed national averages in attainment and progress measures at the end of EYFS, KS1, KS2 and KS4. Targeted groups of vulnerable Sheffield children to reach and exceed the national averages in attainment and progress measures (of their peer group and/or national performance), at the end of EYFS, KS1, KS2 and KS4. Attendance is rising across all sectors. Persistent absence is reducing across all sectors. Fixed-term exclusions are reducing across all sectors. Permanent exclusions are reducing across all sectors. In addition to these criteria the commission from Sheffield City Council to Learn Sheffield also includes the 13 performance objectives outlined in Section Five. Learn Sheffield has developed criteria in relation to the priorities it has identified within each of the six themes of the Sheffield Priorities. These criteria can be found within the action plans for each theme, which are on the Learn Sheffield website. Learn Sheffield will report regularly on the progress made against these criteria, including an annual report which is developed with the support of external independent analysis. The following documents will be available on the Learn Sheffield website. Visit the school Improvement Strategy page and choose the ‘Appendices & Relevant Documents’ option. The full Statutory Duties Commission document is not publicly available due to the commercially sensitive information that it contains. Whilst some completed and reviewed commission documents are published, the annual outcomes report for example, this does not happen when individual school information is included. The Monitoring and Accountability document is not shared for this reason. The final decisions about changes to the primary categorisation process and paperwork for 2017/18 were made at the final Primary Improvement Board (PIB) of the year. Small changes for 2017/18 include the addition of criteria relating to attendance and exclusion data and modifications to the self-evaluation form and profile. Categorisation packs will be circulated via localities at the start of the autumn term and the process will be completed by Friday 20 October 2017. The final decisions about changes to the categorisation process in the secondary sector were taken by the Secondary Leaders Partnership. In 2017/18 the sector will revise the categorisation process to add in a sector training event before schools self-evaluate and a peer evaluation event before the judgements are moderated. Categorisation packs will be circulated at the training event (early in the autumn term) and the process will be completed by Friday 20 October 2017. The final decisions about changes to the categorisation process in the specialist sector were taken by the Specialist Leaders Partnership. In 2017/18 the school self-evaluation will again be followed by two peer categorisation events, one each for primary and secondary special schools. Categorisation packs will be circulated at the start of the autumn term and the process will be completed by Friday 20 October 2017. The Secondary School Improvement Development Network is a new partnership group of senior leaders in the sector. It will meet half termly, at a different school each time, and be focussed exclusively on school improvement and professional development. The Secondary Senior Leaders’ Forum will be re-purposed and now report directly to the Secondary Leaders’ Partnership. Most members of the Leaders’ Forum will also be part of the Development Network, and so the Forum will now meet termly. 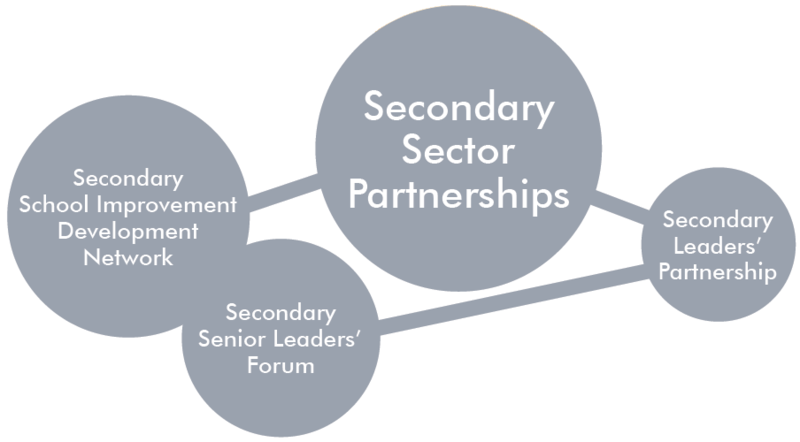 The Secondary Leaders’ Partnership is the key decision making partnership in the sector. Headteachers, Principals, Executive Heads and MAT CEOs come together half termly to determine the approach of the sector to issues. Each organisation within the secondary sector will be represented in this partnership in the way that they determine is most efficient. The partnership includes colleagues from Sheffield City Council and Learn Sheffield, who provide the business support for the group. Meeting chairs and venues will rotate around Sheffield secondary schools. 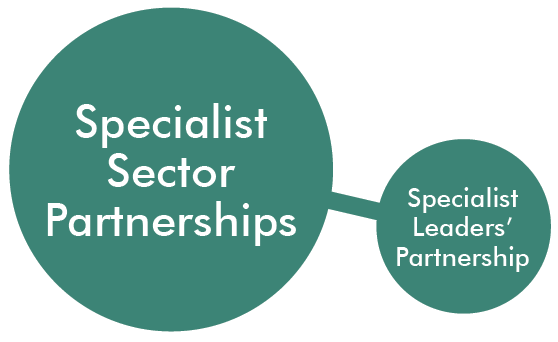 The Specialist Leaders’ Partnership is the key decision making partnership in the sector. The partnership contains leaders from each special school and colleagues from Learn Sheffield and Sheffield City Council, who provide the business support for the group. The specialist sector school improvement action plan will be reviewed by the partnership. 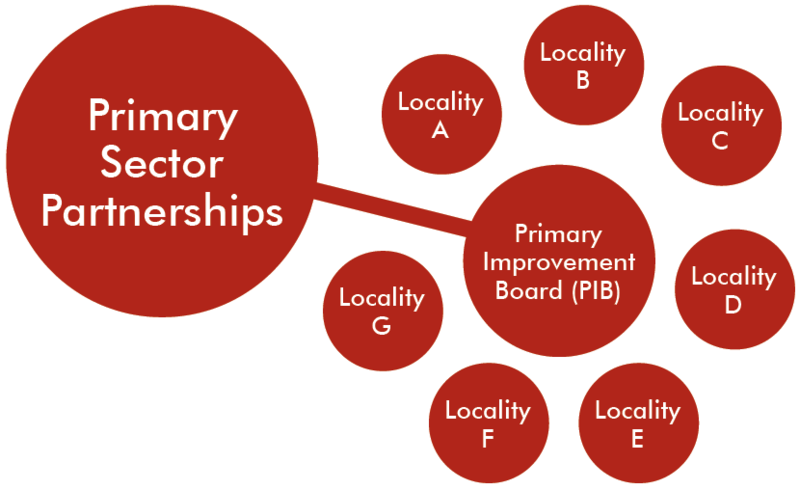 The primary sector has seven localities which act as the key decision making partnerships in relation to school improvement. Each locality nominates a representative to the Primary Improvement Board (PIB). They will work closely with the Learn Sheffield Improvement Partner for their locality to ensure strong communication between the locality and the PIB. The Primary Improvement Board (PIB) is a partnership between Learn Sheffield’s core primary team and representatives from each primary locality. The PIB reviews the school improvement strategy and provides oversight of support and challenge in the primary sector. Each primary locality will have a locality school improvement action plan, which contains universal improvement activity focused on the development needs of the locality and bespoke targeted support for identified schools and groups of schools. Most localities will have a single plan for the schools within the group, but some (for example - Locality D and Locality F) will have an action plan for each of the working groups within the locality.